Setcrete should be easier to spot on the shelves of your merchant thanks to a redesign of the product packaging. The manufacturer of high-performance floor preparation products has new packaging for its range of floor levelling compounds to improve its ‘on shelf’ visibility and simplify product selection with colour coding. The colour coding of each product makes visual identification fast and straightforward, ensuring the right products are selected when out on a job. 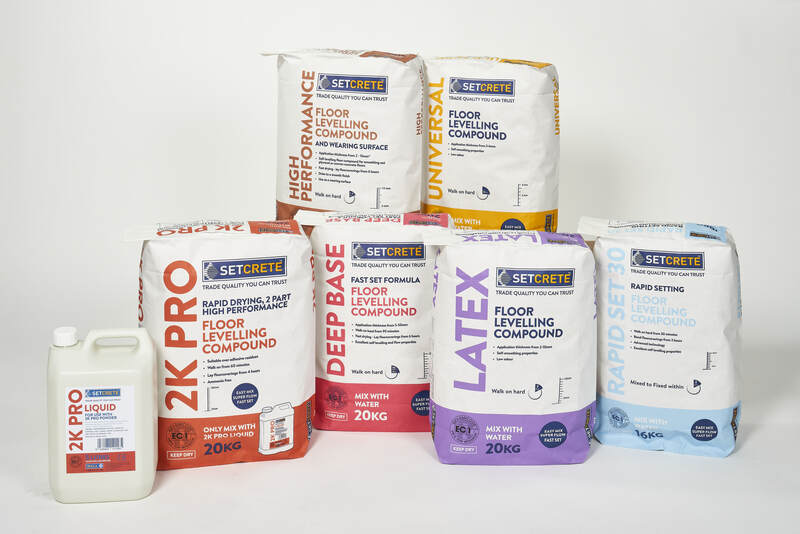 For example, the packaging means you can easily tell the difference between Setcrete’s Rapid Set 30 – a superfast-setting levelling compound, Setcrete Deep Base for raising floor levels up to 50mm, and Setcrete High Performance, which is designed to go over flexible subfloors such as plywood. Other products in the range to feature the new packaging include Setcrete Latex, Setcrete Universal and Setcrete 2K Pro, which can be applied over old adhesive residues.